Until recently I hadn't heard of wild camping. Obviously, I'd heard of camping but I'll be honest with you, it never really appealed to me. I like a nice warm bed and a full cooked breakfast if I have to stay away from home! Gareth Danks - photographer, wild camper and all round great guy. One of the great things about having my YouTube channel is the number of different people I have connected with. One such person is Gareth Danks and he is super keen on wild camping. Through watching his videos I saw that wild camping is more than just pitching your tent on a windy campsite. As I watched through his videos I started to see the appeal of wild camping. Changes in camera and tent technology now meant you were able to take all the gear required to take photographs and get a good nights sleep. While I'm no stranger to an early morning, there are some locations that just aren't practical to reach before sunrise. However, by camping on location, you could be in the right place the night before. When Gareth finally talked me into wild camping all we had to do was agree on a location. 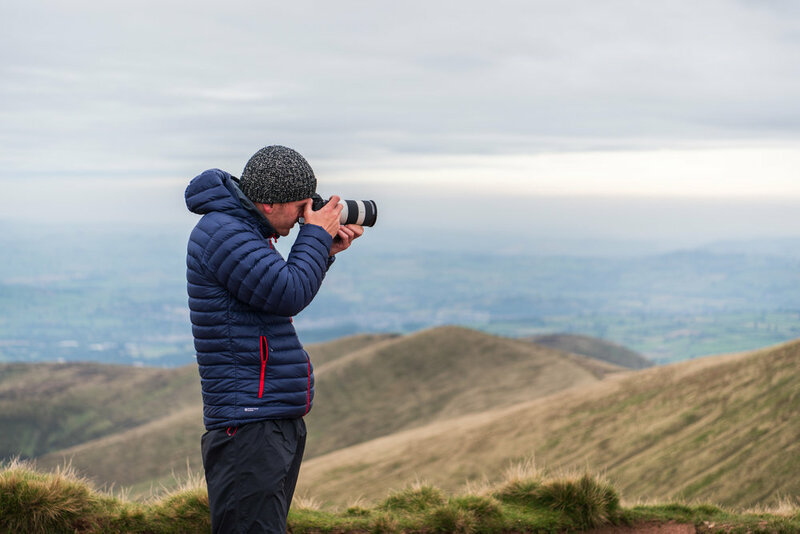 Pen y Fan has always been a location I'd wanted to photograph and given that Gareth had both experience of camping and photographing there, it seemed like a great place for my first wild camp. We put a plan together, picked a date, and hoped for good weather. So would I go wild camping again? Absolutely I would! OK, the weather wasn't great for photography, but I had such a good time camping. I was really impressed by modern camping equipment. It was surprisingly easy to put up the tent (under guidance from Gareth of course), it was comfortable, warm, and it was even possible to make a great cup of coffee. OK, it's not as a good as a nice B&B, but it has the benefit of being much more flexible. Enjoying a well deserved drink of wine! Not a 5 star hotel, but comfortable, warm and just look at that view! I don't think I'm ready for a wild camp in the winter, but I sure I'll be giving it another go next spring. So have you been wild camping before? Do you remember the first time you did it? Would you like to give it a try? Let me know in the comments below. Creeping Clouds over Cribyn - Pen y Fan, Brecon Beacons, Wales: Nikon D850, Nikkor 24-70 mm f/2.8 VR at 34 mm, 1/80th sec at ISO 64, f/8. Cefn Cwm Llwch Mountain Path - Pen y Fan, Brecon Beacons, Wales: Nikon D850, Nikkor 24-70 mm f/2.8 VR at 34 mm, 1/80th sec at ISO 64, f/8. 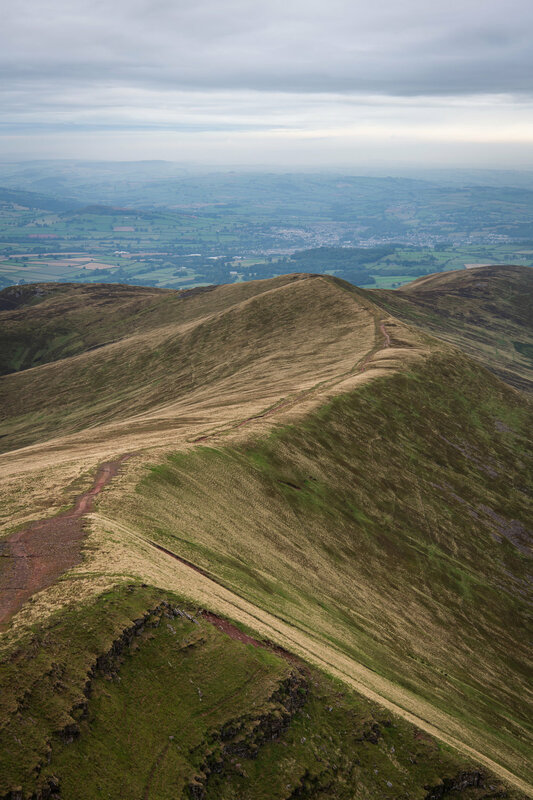 There You Are Cribyn - Pen y Fan, Brecon Beacons, Wales: Nikon D850, Nikkor 24-70 mm f/2.8 VR at 34 mm, 1/80th sec at ISO 64, f/8.